If the physical mind is located in quantized space of the brain then how does the physical mind become the self? This remains an unresolved problem. It can be restated as how mental representations or mental states get their informational contents, and of doing so in terms of the natural functions brain states have? We call these natural brain functions not teleosemantic functions, but rather teleological functions. This is because teleosemantics portrays mental representations which must have informational contents that track “operational explanations of cognitive capacities” while teleological functions (or “teleofunctions”) do not as they are hidden in quantized space, suggesting that mind is physical. Specifically teleonomic capacities have been built into us by natural selection, which naturally leads to a teleogical notion of function. Our claim is that teleofunctionality as unification of mental states has natural functions that carry intrinsic dispositions that may be broadly defined as ‘subjectivity’ or intrinsic information content of mental states. Mental states have intrinsic dispositions to change their functions, producing correspondences to the world that includes further layers of subtlety hidden in quantized space. How does intrinsic information self-replicate content in cases of mental misrepresentation? 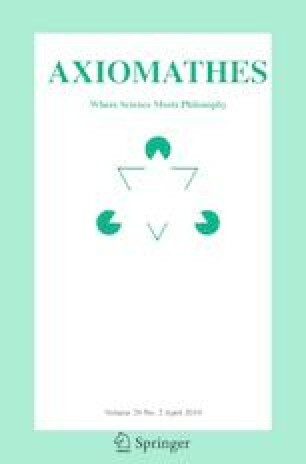 The putative special virtue of teleosemantics and its ability to give a theory of error through ‘uncertainty’ is discussed based on a teleological functionalist epistemology. We acknowledge the comments of Alfredo Pereira and Michael Spivey.